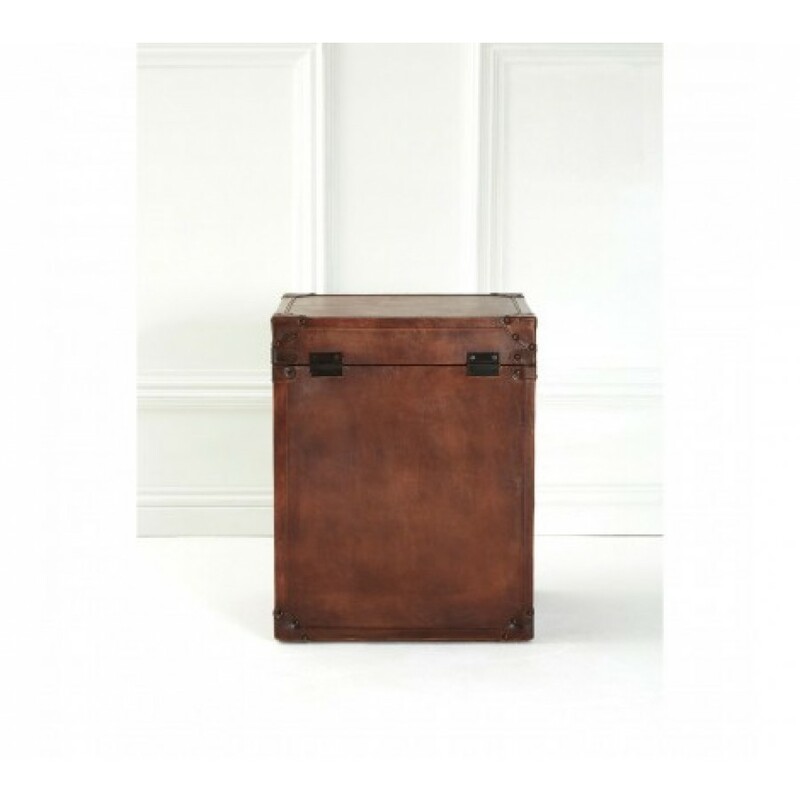 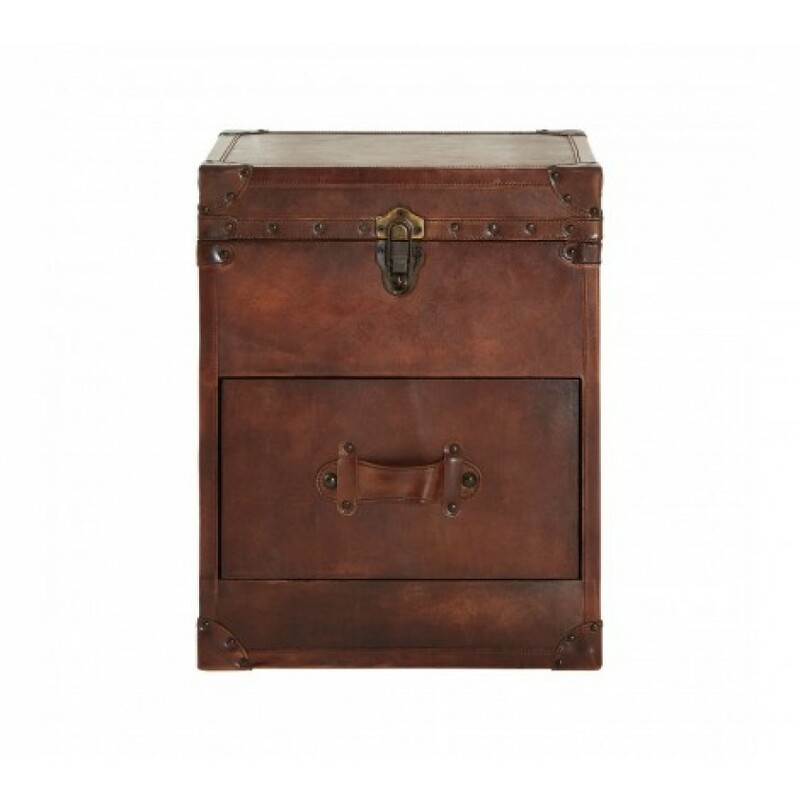 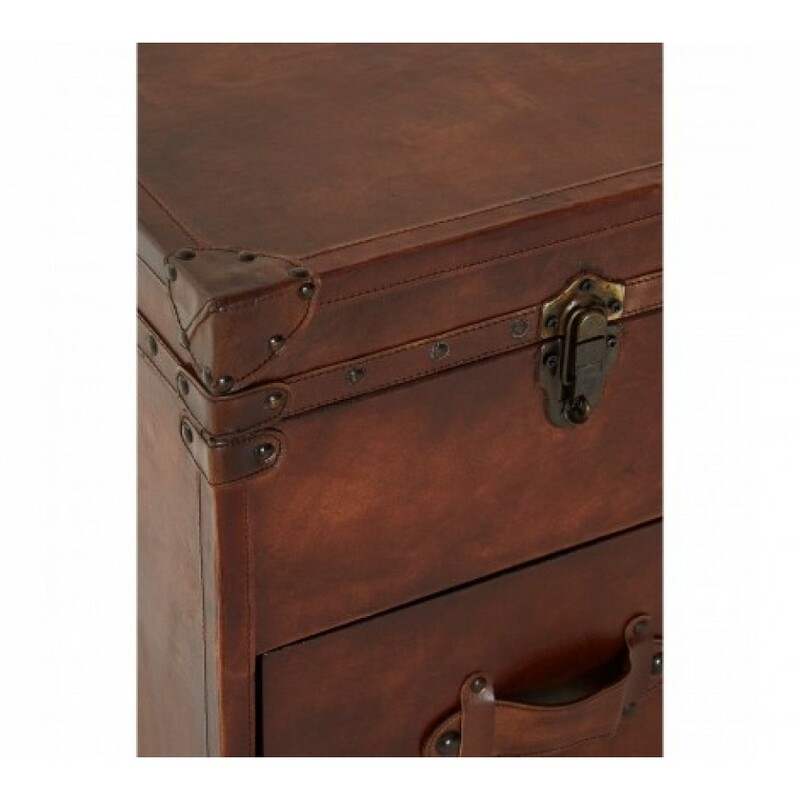 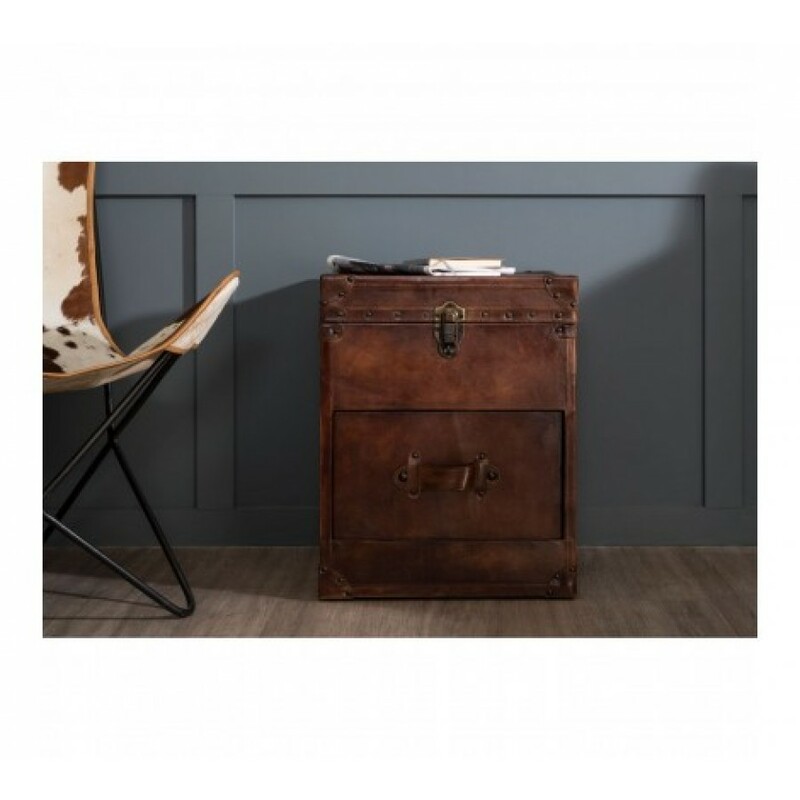 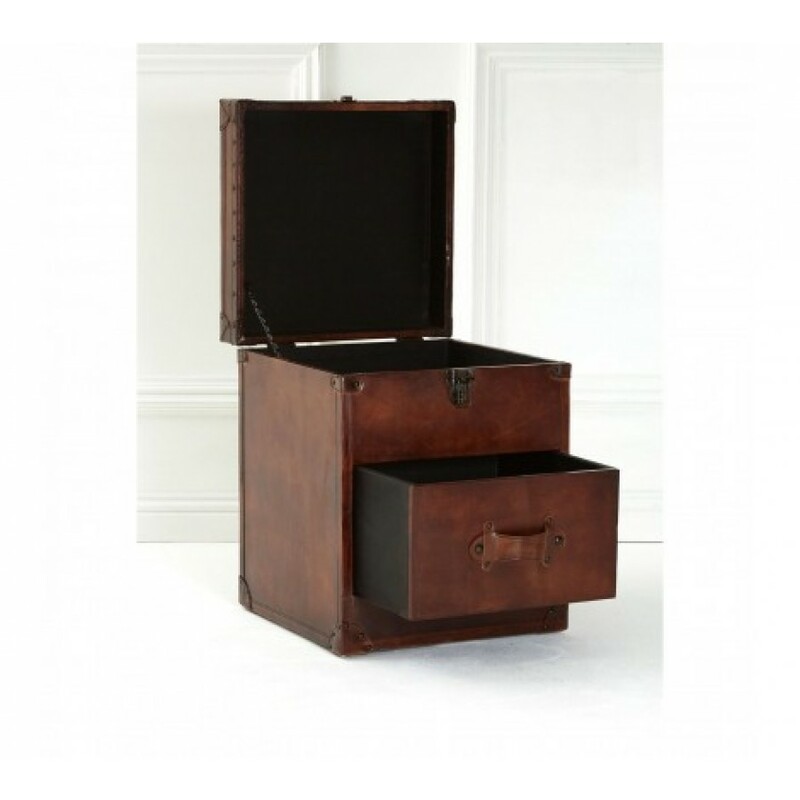 A compact storage solution for luxurious settings, the Buffalo chest offers two compartments to stow items in the living room or bedroom. 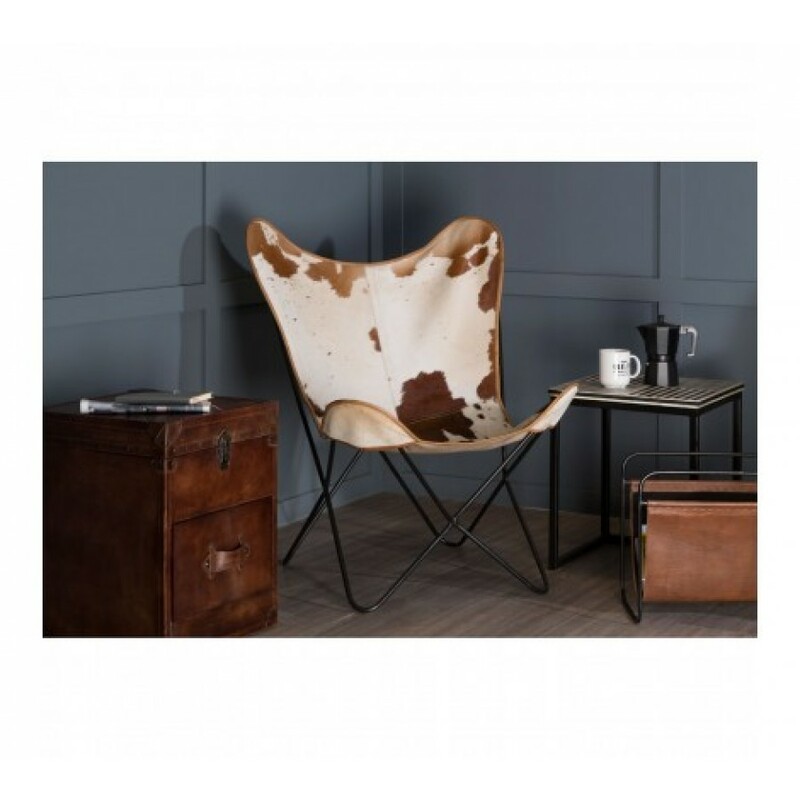 Dressed in soft dark brown leather, its studded corner patches coordinate with the metallic trims, with stitching that adds a further layer of texture. 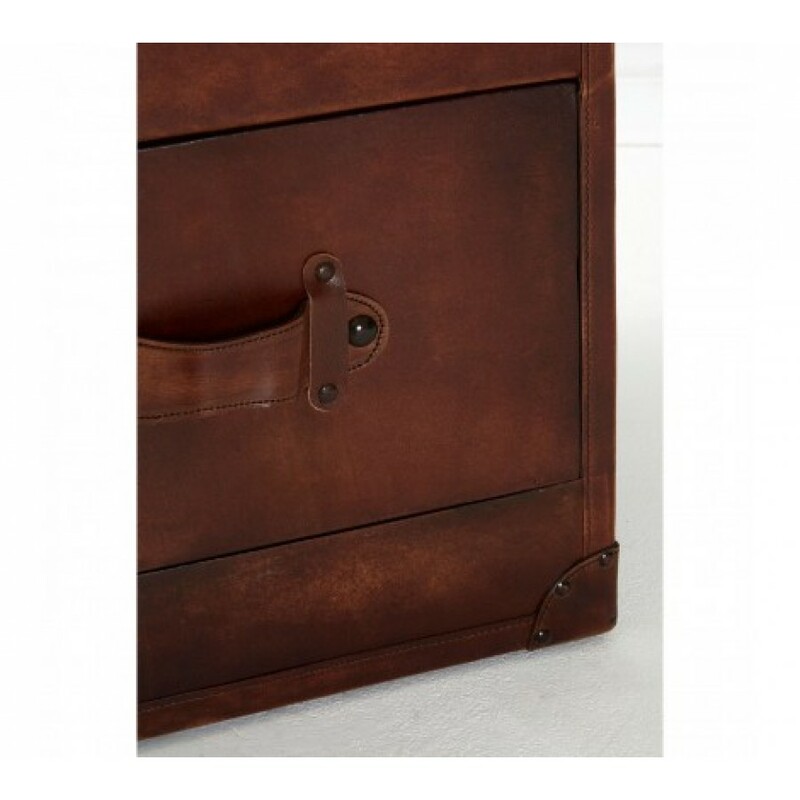 A tough metal clasp lock adds to the stately study look.